Founded in 1951, Esquire stands for more than 60 years of functional leather accessories and high quality workmanship. 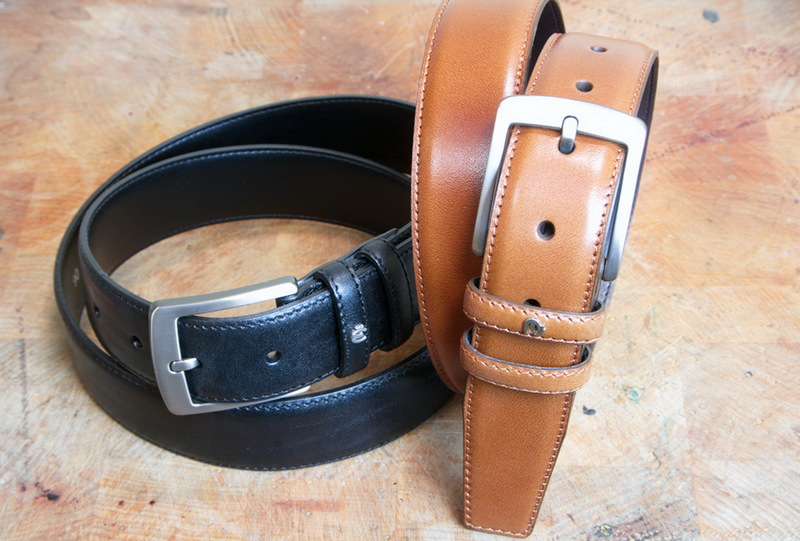 Wallets, business items and belts are all part of the portfolio of the international company. Esquire is the first German company, which has won the Oscar Accademico Dell Alta Moda for its “Creationi di gran Classe” in Turin and was already winner of the German Leather Goods Award. In addition to numerous other innovations and product ideas Esquire is one of the very few companies in the leather goods industry, who has a separate patent, the CARD SAFE. Together with the RFID-Protect system Esquire offers probably the most secure wallet in the world. Still family owned and already in its third generation, Esquire produces quality leather goods based on traditional quality criteria, for an attractive price / performance ratio. High ability to deliver and first-class service, are surely self-evident for us. 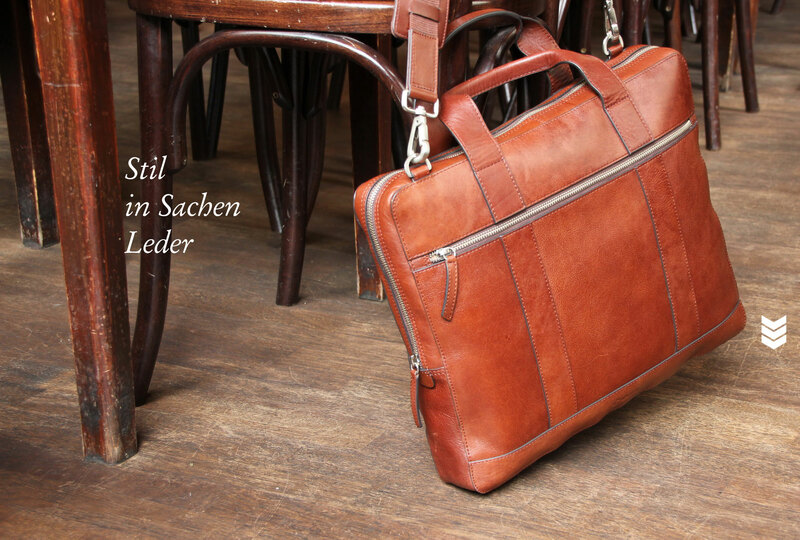 More than 500 leather goods stores, as well as selected department stores are partners for leather goods of Esquire in Germany, Austria, Switzerland and in numerous other exporting countries. Esquire – style in leather! Probably the safest wallets in the world ! Equipped with our patented security system for credit card, the CARD SAFE , it never happens again – losing a credit card while wallet is closed . The lateral slots secure the credit cards against falling out . Another safety aspect is the incorporated RFID shielding . This protects your cards against unauthorized access to the RFID chip . Additional to that, a secret compartment for bills – which should not be seen by everyone-completes the safest wallet . Esquire offers a wide range of small leather goods in different types of leather. 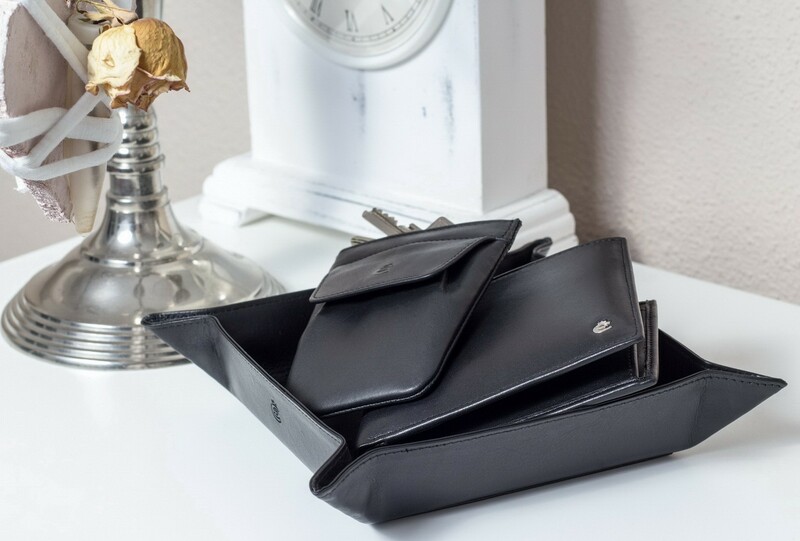 Whether 4, 8, 12 or even more card slots, whether left handed wallets or wallets with secret compartments, whether classic elegance or fashionable ladies wallets. All this can be found at Esquire. Functional Business products are implemented modern. Wearable for business outfits, but also for jeans. Laptop, tablet and mobile phone compartments are certainly integrated. These articles will soon become your daily companions, you do not want to miss anymore. Either 3, 3.5 or 4 cm wide. Can be shortened in your ideal size, formal or casual, Esquire offers a diverse assortment.